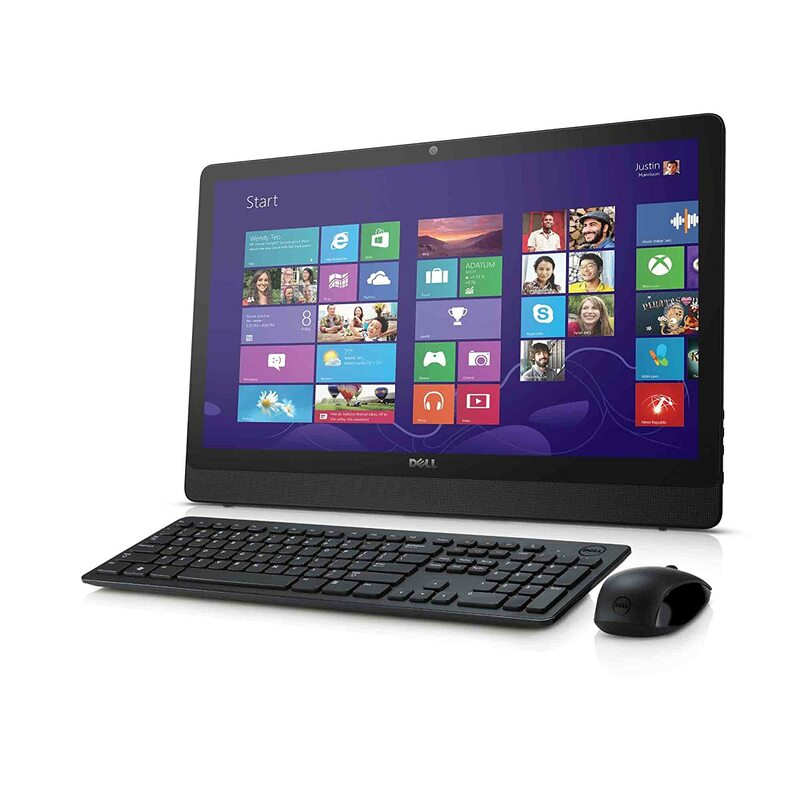 With easy set up and a stunning 23.8” Full HD wide-angle display, the new Inspiron 24 3000 Series All-in-One desktop is the perfect fit for the whole family. Big screen action. Family-sized value. Enjoy a stunning 23.8-inch Full HD wide-viewing angle display and responsive PC performance with built-in speakers at a great value. Here are just a few of the amazing Windows 10 features to look forward to. Get your free upgrade when available at Windows website. Cortana: Your own personal, digital secretary. Start Menu: Your expanded Windows 7 Start menu is here. Continuum: Switching between 2-in-1 devices has never been easier. Microsoft Edge: A new web browser loaded with cool features like writing or typing directly on a webpage. Speed: Windows 10 starts up and resumes fast for your busy lifestyle. The pop-up easel stand with one-cord set up allows quick and easy arrangement in any room. Featuring a stunningly thin panel – only 38.22 millimeter – the Inspiron 24 is available in a white design with matching keyboard and mouse that stylishly fits any décor. 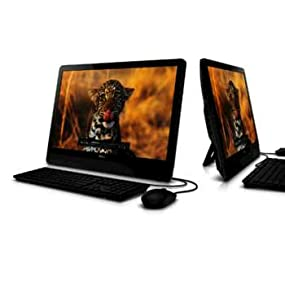 With a 23.8-inch Full HD wide-viewing-angle display, the responsive performance of a computer with built-in speakers, and an attractively thin design, the Inspiron 24 is an easy to use All-in-one PC that’s a smart buy for the family. Watch, learn and play games without leaving anyone out on an expansive Full HD wide-viewing-angle display. Choose the edge-to-edge touch screen option with more touch points for an incredibly interactive and smooth user experience. 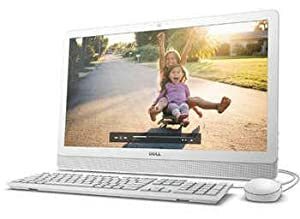 The Inspiron 24 is outfitted with faster and longer-range 802.11ac wireless technology, so you can chat with friends and family or stream music and movies quickly and securely. The multiple USB 2.0 and 3.0 ports, HDMI out, 4-in-1 MCR and Ethernet capabilities offer seamless interaction with your other devices. Take your movies and games to a whole new level with the latest AMD APU up to A8 Quad-Core processor and AMD Radeon R-series graphics. 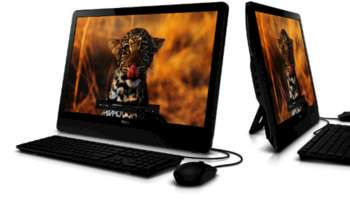 It’s engineered for uncompromising graphics and powerful performance that make your favorite media even more enjoyable. Available with an up to 1 TB hard drive and optional optical disk drive, the Inspiron 24 gives you plenty of space to store the whole family’s movies, memories, school projects and more while still providing a consistently smooth, lag-free performance.